London, UK – February 11 2019: Today marks the launch of ‘Breaking into News’, a nationwide initiative run by Media Trust in partnership with ITV News, to discover the next up and coming ITV broadcast journalist and promote diversity in broadcast journalism. Now in its eighth year, ‘Breaking into News’ will once again be fronted by ITV’s award-winning news broadcaster Charlene White along with Rob Osborne for ITV Wales. 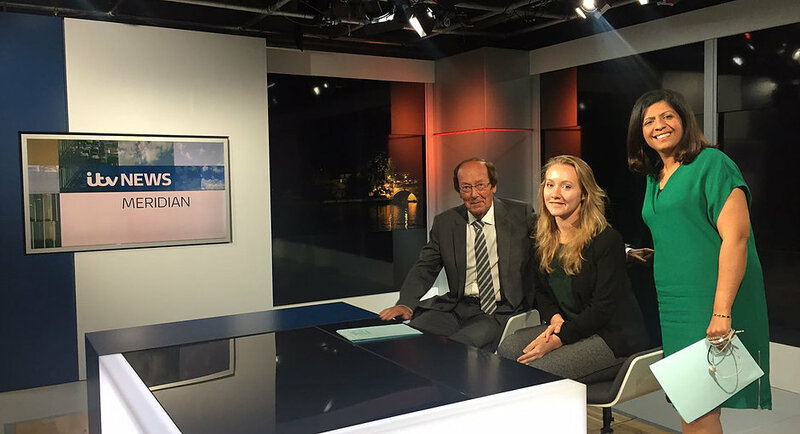 The competition is open to everyone of all ages and backgrounds across the UK and offers those with little or no media experience, the opportunity to break into broadcast journalism, reporting on a subject important to them. ITV Wales Correspondent, Rob Osborne who is leading the initiative for ITV Wales is encouraging local aspiring journalists to apply. Ten applicants will be shortlisted, representing one for each of the ten ITV regions across England, Wales and Northern Ireland. Those who are shortlisted will be paired with an ITV journalist, based in their region, and over the course of six weeks will be mentored on all aspects of broadcast journalism, including writing, reporting, production and how a newsroom works. The competition is now open and can be accessed via Media Trust’s Breaking into News microsite www.breakingintonews.co.uk. Applications are open for eight weeks until the closing date on Friday 5 April 2019. The overall winner will be selected by a panel of influential judges including Roohi Hasan (ITV News, Senior News Producer), Kate Watkins Tutor (Head of TV News Training, School of Media and Communication, Leeds University), Margaret Emsley (Head of News at ITV Calendar) and Jasmine Dotiwala (Head of Youth Engagement at Media Trust) and will be awarded with £400 worth of journalistic equipment and the chance to have their local news report aired on ITV. The overall winner will be revealed on Wednesday 24 July 2019 at a special award ceremony in London. The ten ITV regions include: ITV London, ITV Central, ITV Calendar, ITV Meridian, ITV Border & ITV Tyne Tees (combined regions), UTV, ITV Wales, ITV Granada, ITV Anglia and ITV West Country.